You're not drinking enough water. I'm pretty confident in making that statement because almost everyone isn't drinking enough water. Water has a lot of benefits, even lifting you out of a crabby mood, and you'll see improvement in your work day right away - it'll energize your muscles and help you think more clearly. You need 11 cups a day, although that includes all sources of fluids like tea and cucumbers too. Since it's hard to keep track of the water you're getting from foods, make sure you aim high on your water intake and keep a refillable bottle at your desk. I personally hate the tap water at my office, so I got a water bottle with a built in filter and I find myself drinking a lot more water each day. Definitely worth the small investment. At first it seems counter-intuitive to think that taking frequent breaks will help you get more done, but it really is true. Your brain needs time to readjust when you add new information, so you should be taking a short break every 25 minutes or so, with a 3 or 4 minute break. It's called the Pomodoro Technique. Use your break time to get water and move your body. There's even exercises and stretches you can do in that short time, anything that will let your mind break from your work. Every 4th break, take some extra time, about 15 to 20 minutes. As you know, I don't eat meat so it can be hard to find good vegetarian options if I eat out for lunch every day; salad gets old quickly. Of course eating out every day can be expensive and unhealthy, but one of the biggest drawbacks to eating out is that everyone else in downtown Chicago is doing the same thing. Standing in line to get your food can take almost your entire lunch break and I hate wasting time like that on busy days. If I'm really swamped, I've been known to get chips and candy from the convenience store in the lobby. 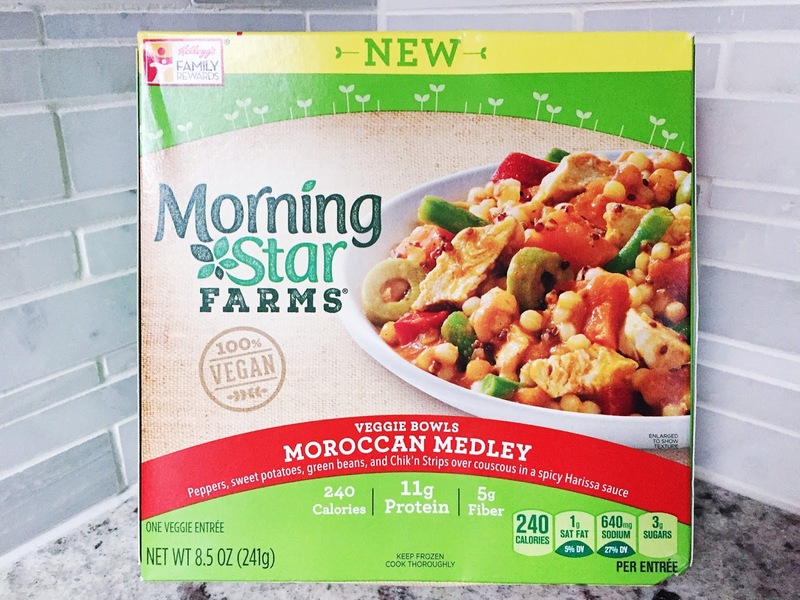 In order to stop that nonsense, I stock up on MorningStar Farms® Veggie Bowls to keep in the office freezer. They're a complete meal on their own, much healthier than the junk food I was getting, and they heat up quickly so I can keep up with the busiest days. 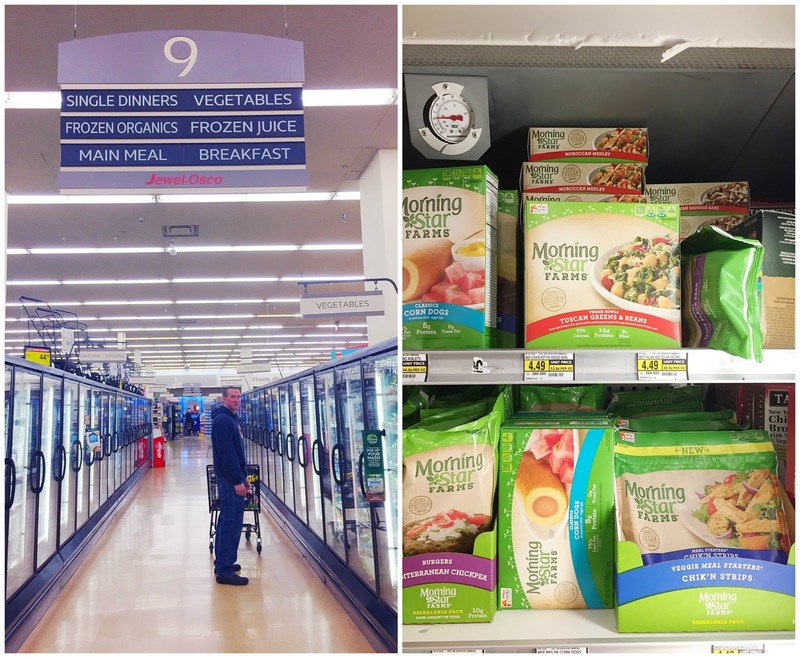 I pick my veggie bowls up at Jewel, which is our closest grocery store. Our Jewel is walking distance and 24 hours, it's my favorite place lately. 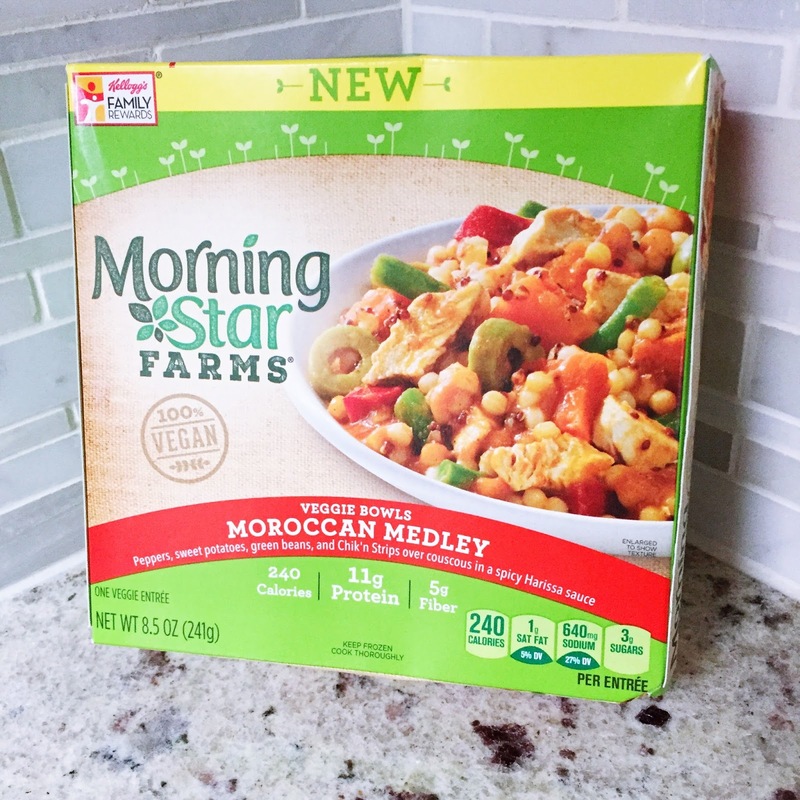 You can find the bowls with the other frozen vegetables and meals, in the MorningStar Farms section. They taste great so I always have to buy extra. John eats them too, even though he's not a vegetarian, so they're perfect across the board for everyone in the family being able to get their vegetables in. It helps that they have a lot of protein as well because that's something that's tough for vegetarians. Protein is what keeps you full and focused without that sleepy feeling you get from overeating sugars and carbs, so the veggie bowls are the perfect option for a healthier lunch on your busy days. Office work is always a problem, not only for health but for productivity. You have to move to stay healthy but you also have to move your body to get your brain to move; the more you sit, the more your brain gets tired and lazy. Breaking from your work and walking around is so important. I use the time I save making and eating the veggie bowls to get more steps in. When the weather is nice, I just walk around the city. When it's colder or rainy, I'm lucky enough that my building has a free gym inside and I can just walk on the treadmills for awhile. Once I'm back at my desk, I'm much more productive and focused. 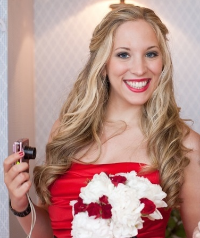 Well you had to know this would be on the list! Keep your work space clean and organized and you'll see an instant boost in productivity levels. I know people like to swear by 'messy desk, clear mind' techniques, but I'm telling you, it's likely not working. I've worked in quite a few offices in my day and I've helped people study even longer than that - messy desks are almost always a detriment. If you really want to get things done, clear off your work space. It'll clear up your mind and get rid of a big distraction, allowing you to focus on the task at hand. 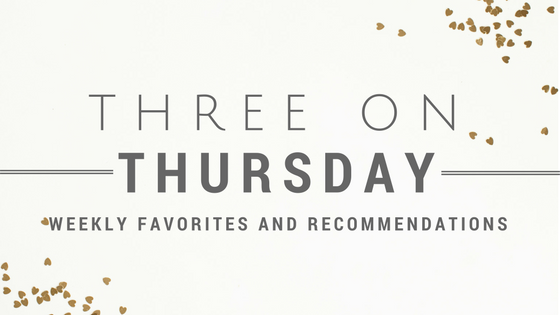 Try these 5 things and let me know which makes the biggest difference in your day. 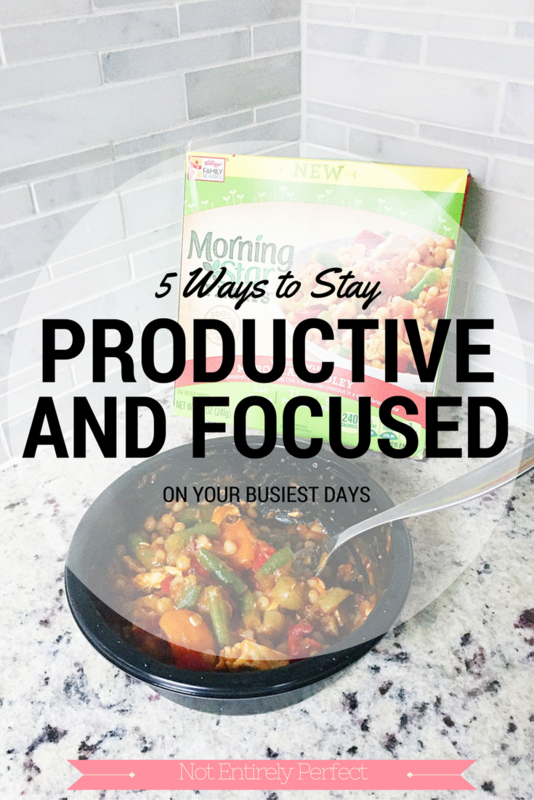 What tips do you have to stay productive and healthy when you have a busy life or an office job? 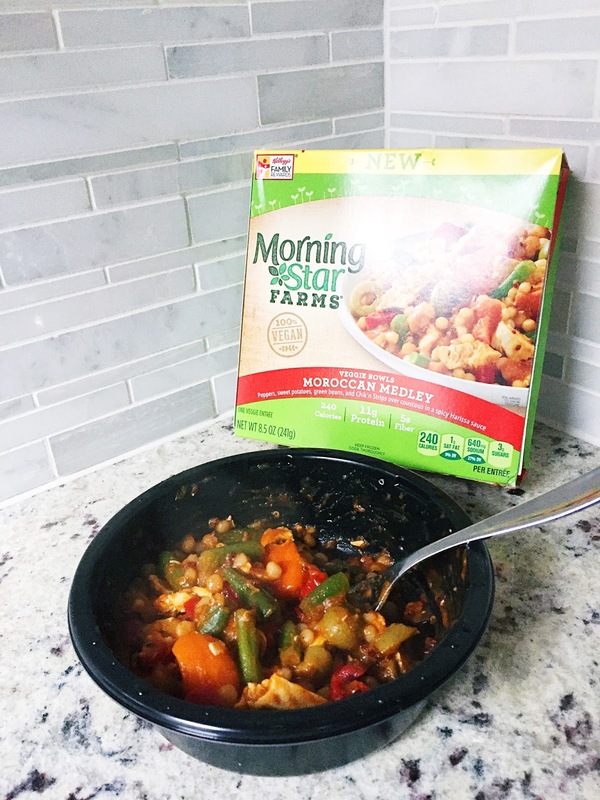 Be sure to add MorningStar Farms® Veggie Bowls to your routine and tell me your favorite flavor!